The Clos Windsbuhl is located on the top of the village of Hunawihr, on the same Muschelkalk vein that can be found in many great vineyards of this area. On the Windsbuhl, the rocky limestone is probably more exposed and contains less clay, which explains why grapes can achieve such ripeness in a late ripening micro-climate. Gewurztraminer is the grape variety that takes the longest to achieve proper physiological ripeness, but it is also the grape that needs more heat to ripen. This contradiction makes it difficult to find the right place to grow it. 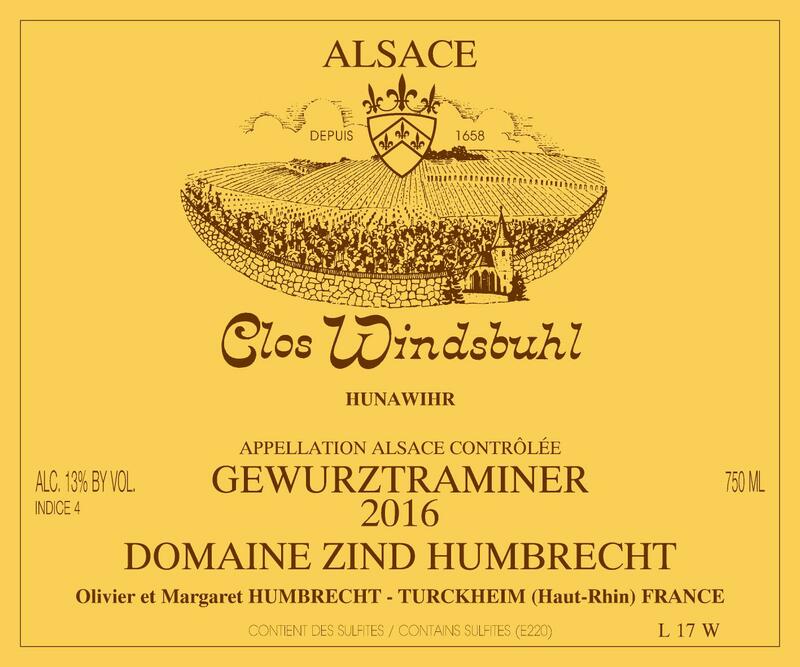 At the Windsbuhl, Gewurztraminer can achieve both, but also keeps an extraordinary delicate structure, despite huge ripeness level. The 2015 was amongst the last to be harvested, fermented very slowly (6 months) and kept a Vendange Tardive like balance even though the grapes were very healthy. 8/2017: yellow intense colour. The nose conveys a strong sense of place and structure and is not immediately easily recognizable as Gewurztraminer: some light fruit and spicy aromas, but crushed rocks, dry herbs, oregano (which grows profusely in the Windsbuhl) dominate. The palate surprises the taster with its richness, because there are no sign of over ripeness on the nose. There is sweetness on the finish, but so delicately balanced. This wine is hiding its richness so well. Still a little restraint, it will evolve slowly.